Howard Hughes, Rudy Giuliani, Alexander Hamilton, Spike Lee, George Lucas, Bo Jackson, James Dyson, Bill Clinton — they all live in my apartment, on a tidy bookshelf with all of my other famous friends. My addiction started with a simple theorem: if I read enough biographies about the world's most successful people, I could soak up their habits and apply those to my own life. But after a while, that simple thesis became intellectually stunting. There are only so many lists of habits one can make before finding glaring inconsistencies amongst successful individuals. Wake up early. Exercise. Hold Monday meetings. Don't drink to excess. Drink to excess. Stay up late. Hold Friday meetings. Sacrifice your body for your work. The people that change the world in the most dramatic ways are the creators who are able to translate fringe ideas into those that can be accepted by the mainstream. It takes two personas within one individual. In other words, creators who change the world are able to live dual existences. One persona embraces the fringes of society where advanced, unencumbered, "weird" things happen where mainstream society has no desire to take part. They're able to observe, participate, synthesize and import the freshest elements of these fringe societies back into the mainstream. Our heroes get there by being unafraid of where their interests lead them. They pull on the thread of curiosity and fearlessly hold on as the thread itself does the pulling. The other persona is the one we're most familiar with — the person who can inspire us with visions of the future, new products, new ways of filmmaking, new stories, or new forms of government. They do the hard work for us by hanging out in the communities we're scared of, or by going places we don't yet know about, be it intellectually or physically. Oh, you remembered that I told you I read a lot of biographies. Fine. I'll back up my ruminating with some examples. How did a skinny, introverted kid from Modesto, California end up capturing the childhoods of at least two generations? Lucas was a kid drawn to the visual side of filmmaking (versus little things like a story or a plot). He was naturally drawn to the experimental, abstract films of the 1960s that were only seen in America by open-minded students, American expatriates or extremely rich, "odd" people (think "French New Wave" cinema, for example). At this point in time you might have heard of Japanese director Akira Kurosawa, a legendary samurai legend storyteller; Haskell Wexler, the American pioneer of the cinema vérité documentary style; Arthur Lipsett, a Canadian filmmaker from Montreal known for his experimental short films using found footage and having no plot; and Francis Ford Coppola, who, by the late 1960s, scored studio film deals to fund his real dream — creating a filmmaking commune in San Francisco with cutting-edge European editing machines. These were George Lucas' friends and influences. Consider the context: by 1970, the original film executives who started it all (Darryl Zanuck & Jack Warner, for example) were getting old and losing grip on what films Americans wanted to see. Movies like The Graduate and Easy Rider marked a forceful turning point where young people made films about young people — on the cheap. And they did remarkably well. These were gritty, realistic, down-to-earth and depressing films. But Lucas had wanted to create something bigger, something that took place literally of this world since childhood. And his attraction to visual filmmaking, envisioning the future and re-interpreting mythology led him to create a concept that he'd use in pitches as "a Flash Gordon-esque space opera." So, you can tell I'm a Star Wars fan. But I"m also a fan of what Lucas did: he translated his favorite, obscure influences into a story that, yes, heavily retreaded the basics of those influences — but also created an entirely original universe. His translation endured because it was accessible to a larger audience and showed the world something they'd never before seen. 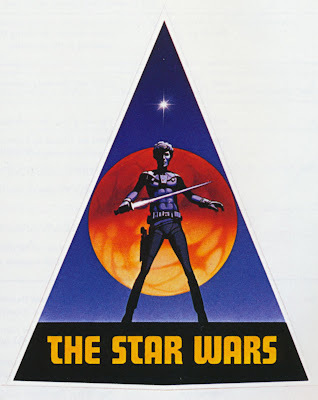 (Learn more about the origins of Star Wars in this book). In the early 1980s, two kids living in Southern California — James Hetfield from Downey, California and Lars Ulrich from Gentofte, Denmark — decided to form a band that would become one of the most influential heavy metal bands of all time, enduring for over 30 years to sell over 100 million albums (According to Nielsen data, Metallica is the 18th highest-selling artist ever). But the early 1980s was a confusing time for heavy metal music. In fact, the genre was being redefined by the day to pull it farther away from the foundations set by Black Sabbath and Led Zeppelin — incorporating more elaborate costumes, longer hair, tighter pants, and heavier eyeliner. Copycats were everywhere. So how did they stand out? Lars Ulrich happened to be an aficionado of obscure heavy metal bands from Britain, a phase in rock that later to be known as the "New Wave of British Heavy Metal." And obscure is an understatement — ever heard of the Tygers of Pan Tang, Diamond Head, Dio, Saxon, or Blitzkrieg? Probably not. These were bands that originated from small provinces from across Britain, barely even breaking into radio play even in their home countries. But Lars' obsession served his band well. He forced James to listen to music outside of the echo chamber — new vocal techniques, lyrics, riffs, bass lines. It gave them perspective amongst the copycats and helped them find the right talent that would help them become more musically sophisticated. It didn't happen overnight, but through years of building a fan base with an original sound and image, they broke out with 1991's "Black" album. I'm sure you know that one song called "Enter Sandman." Metallica are the most successful heavy metal band of all time because they listened to music that only a few musicians in America listened to, were open-minded enough to embrace the best parts of that music, and learned how to translate that influence into original music of their own. They weren't satisfied by drafting off of the same, tired techniques used by everyone else. Everyone knows a little bit about Steve Jobs's story — typically citing the crazy fruitarian diets he embraced, his sensory deprivation sessions, his nuanced sense of design and tough management style. Became fascinated with how things worked when he saw his dad fixing up cars and electronics around the house. Learned what motivated people to buy things when he started repairing, restoring and reselling cars — and witnessed hard-nosed negotiation techniques when buying parts from local garages. Experimented with electronics and felt no qualms about finding creative ways to get the parts he needed (everyone knows the story of him calling up Bill Hewlett at home and asking for parts to finish a project). Ventured beyond the myopic focus of electronics and explored literature, classic movies, sports and practical jokes — which, at the time, were two opposing interests. (Sound familiar? Remember Apple being described as "the intersection of technology and liberal arts?"). When sampling classes at open-minded Reed College in the 1970s, stumbled into a calligraphy class. It opened up his mind to the beauty of the aesthetic. But this post is already way too long, and it's way too late. I ask that you take away the following: the world's most successful creators unabashedly pursue their interests no matter where they go. They're unashamed about the subcultures, the ideas and the people to which they're exposed because of it. And they become adept at importing the best parts of these cultures and ideas back into the mainstream. That's how original thinking endures. I'd love to hear from you. Drop me at line at me at scotthurff dot com. Join 32,000+ product designers and get more articles like this sent to your inbox semi-monthly. You'll also get a discount on my book, Designing Products People Love. It has interviews with product designers from companies like Medium, Twitter, Facebook, and many others. Hello, I'm Scott Hurff. I've been building Web and mobile products for over 15 years. Follow me on Twitter here, or learn more about me.